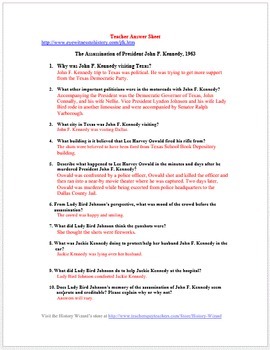 This worksheet allows students to use a primary source document to learn about the assassination of John F. Kennedy from the perspective of Lady Bird Johnson. 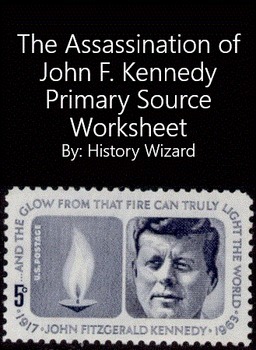 I use the worksheet to help students better understand the assassination and the chaos that followed. 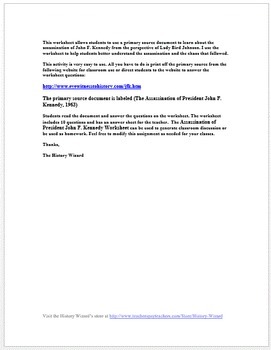 Students read the document and answer the questions on the worksheet. The worksheet includes 10 questions and has an answer sheet for the teacher. 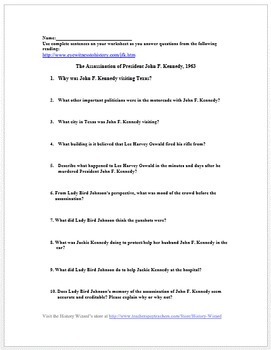 The Assassination of President John F. Kennedy Worksheet can be used to generate classroom discussion or be used as homework. Feel free to modify this assignment as needed for your classes.